Oh…today is such a good day! Why you ask? 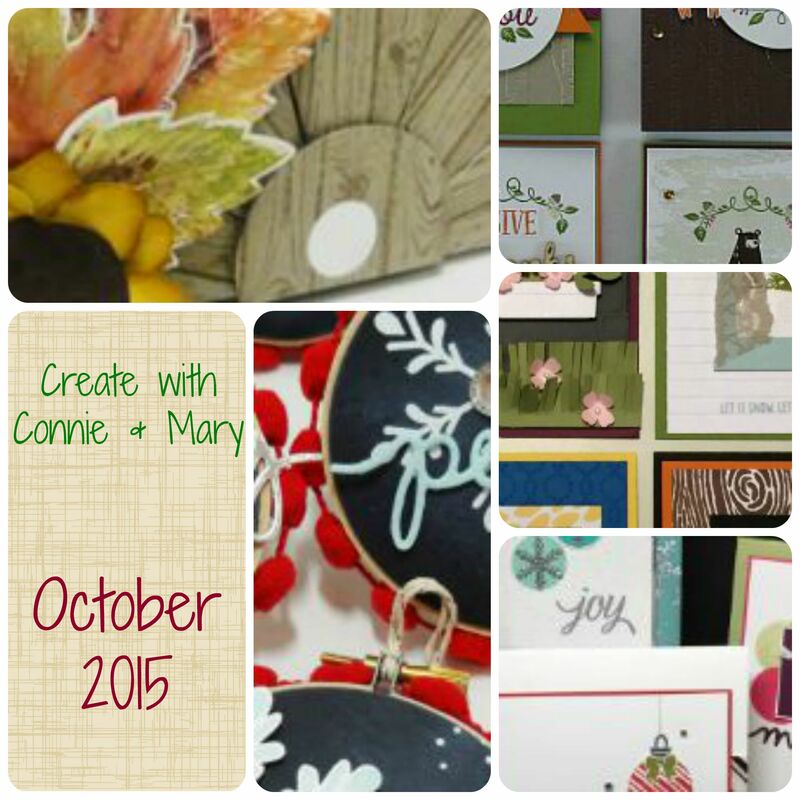 Well…today is the opening day of Create with Connie and Mary October Mini Session! WOOO HOOO!!!! Since our October Mini Session is a mixture of both Fall and Christmas, I decided to do a fun little Christmas card to celebrate today. I was looking around for a challenge to use and found this fabulous sketch at CAS(E) This Sketch and thought how CUTE it would look in Candy Canes! NAILED IT! LOL!!! I do think it REALLY turned out CUTE! Stamp candy cane (A Little Something) 9 times using Real Red and cut out using the Candy Cane from the Square Pillow Box Framelit. Stamp holly (Snow Place) 9 times using Real Red and Garden Green markers, cut out using the matching Snow Friends Framelits. Add holly to candy canes. Lay on Whisper White panel just for placement then stamp greeting using Garden Green. Now add the cut out Candy Canes. Striped Garden Green dsp (Regals dsp paper pack) – 3/4 x 5 1/2, add behind panel then add panel using dimensionals. See…that was as easy as can be! Speaking of easy…if you want some GREAT ideas for Fall and Christmas, it is EASY to subscribe to the Create with Connie and Mary October Mini Session! This entry was posted in CASE that Card, Challenge, Create with Connie and Mary, Holiday Mini and tagged A Little Something, Snow Place. Bookmark the permalink. Thanks for sharing this fun card Miss Mary. 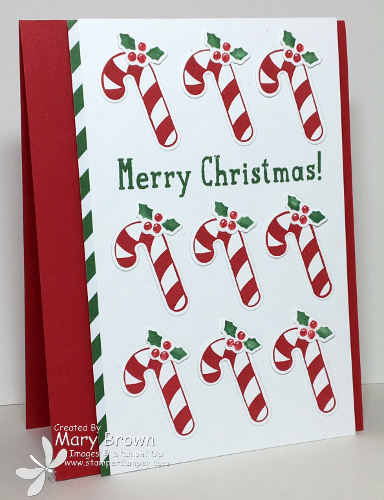 Your candy cane card makes me smile (and I want to CASE it too!). Thanks for the heads up about the new mini session too! You started it off beautifully. How do I purchase this Mini session?